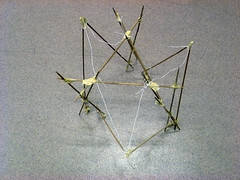 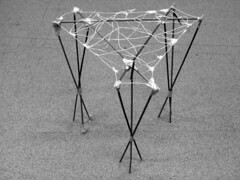 Inspired by the works and thoughts of Robert Le Ricolais, this workshop intents at conducting structural experimentations toward the construction of a small pavillion. 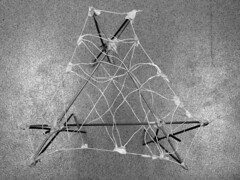 The exploration of the concepts relys on numerous physical models of which some are finally developped into full scale realisations. 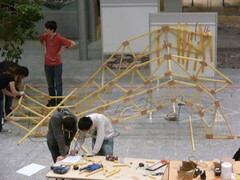 Design and build a lightweight structure (composed of linear elements working mainly in tension and compression and possibly using prestressed systems) for covering an exhibition area of 12 m². 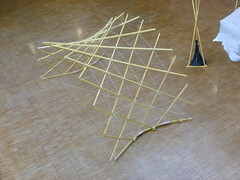 The idea here is that the morphogenesis be inspired by the working method of Robert Le Ricolais, considered by many as the father of spatial structures. 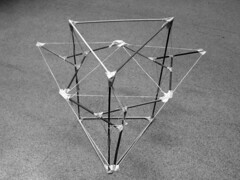 He always begins with the realization of physical models, of sensitive models from which he seeks to define some general principles of structural behaviour, to define abstract concepts from which this or that object is a practical realisation. 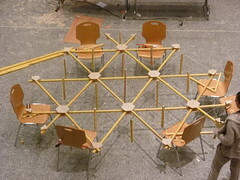 Optimization methods are not to be found in the calculation of minimal sections but rather in the optimization of the structure topology, in the interactions of the various members. 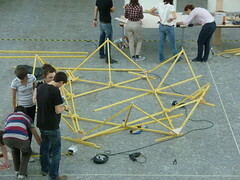 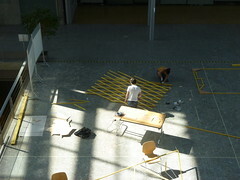 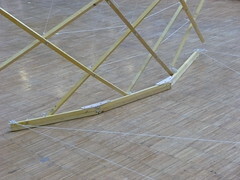 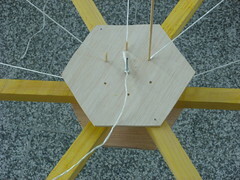 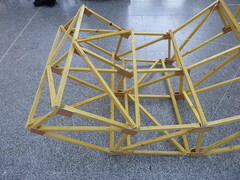 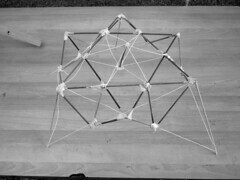 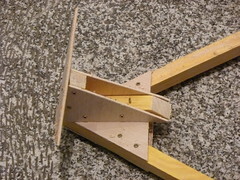 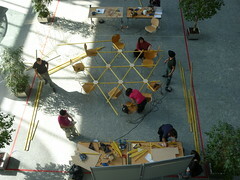 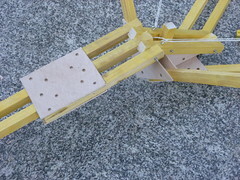 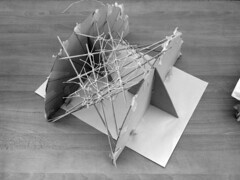 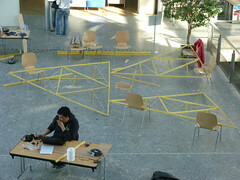 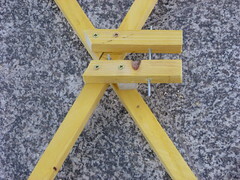 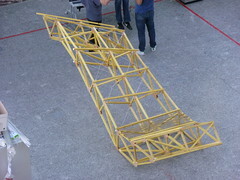 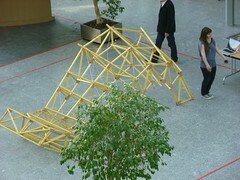 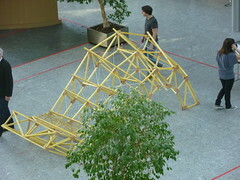 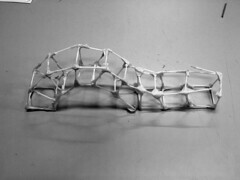 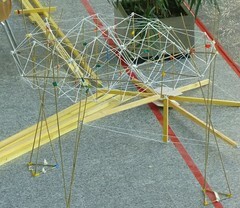 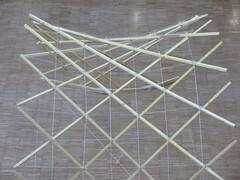 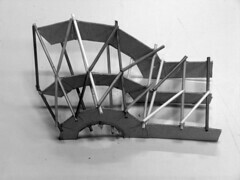 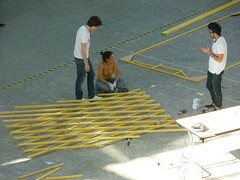 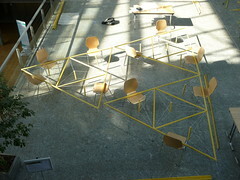 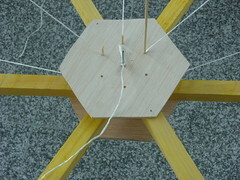 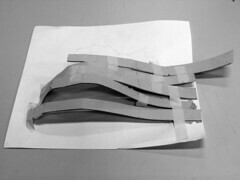 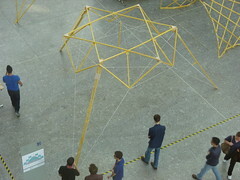 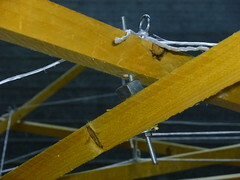 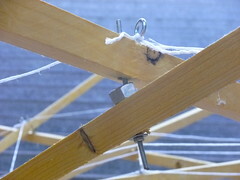 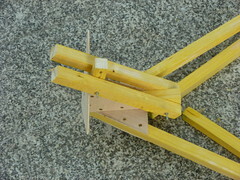 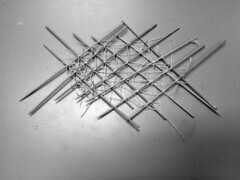 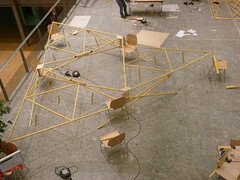 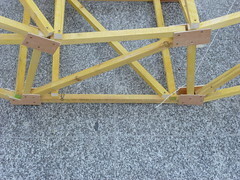 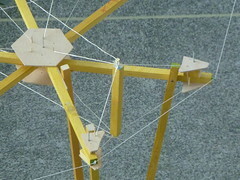 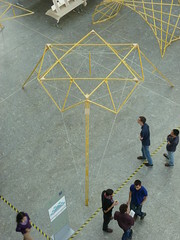 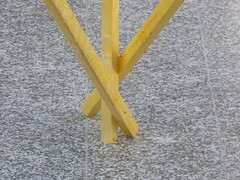 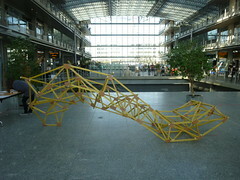 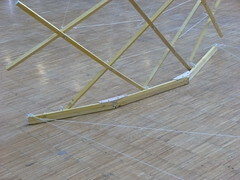 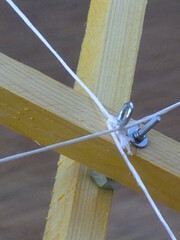 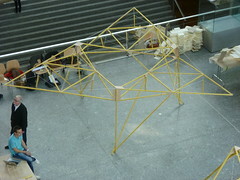 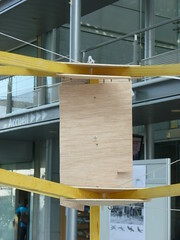 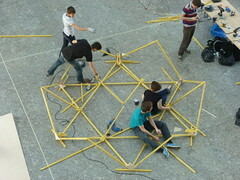 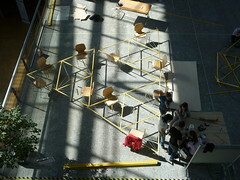 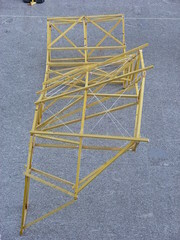 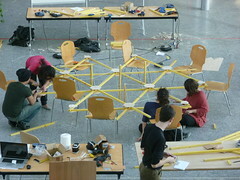 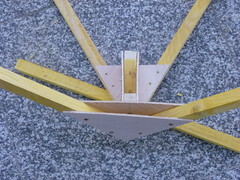 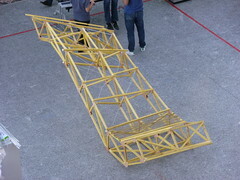 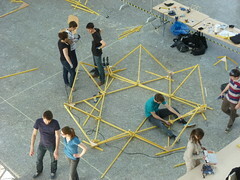 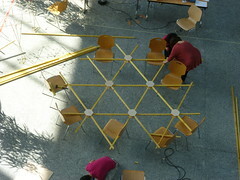 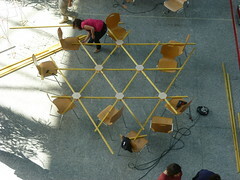 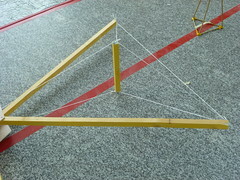 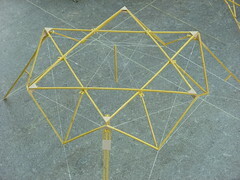 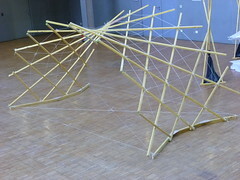 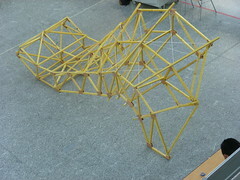 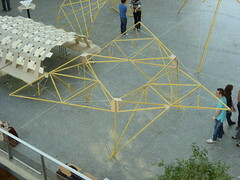 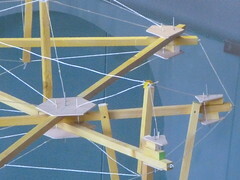 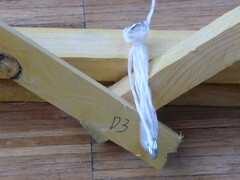 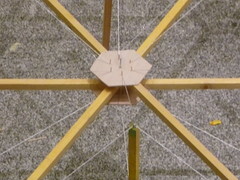 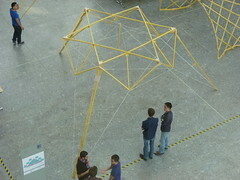 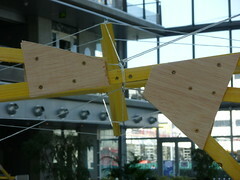 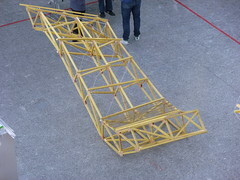 Initially, the work is thus based on models which allow the proposition of different structural configurations, the exploration of variations and their comparison, in order to improve their stability, performance and other criteria such as weight or buildability… The end of the week is devoted to the realization of the most convincing models. 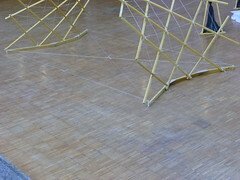 En première place devrais-je mettre cette notion d’ “immesurable” ou non mesurable, possiblement du “non métrisable”, domaine familier au topologiste qui accepte le nombre, mais refuse le chiffre. 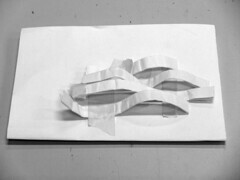 Il me coûterait beaucoup de substituer une évaluation personnelle à la pensée de Louis Kahn, mais comment, à ce sujet, ne pas insister sur l’interprétation de la forme comme étant une entité non polarisée vers une configuration précise, mais seulement tendant vers une configuration possible. 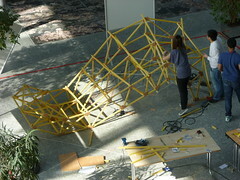 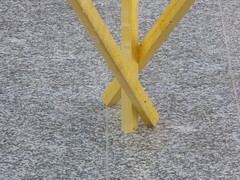 Description of the structure is coming soon.